•Graduated from Athens College in 1990. In the National Exams (Panelladikes) of 1990 she ranked “first among the first” with 632/640 points. • Graduated from the University of Athens (Faculty of Law) in 1995. • Admitted in the Athens Bar in 1997. • During her time as a trainee lawyer, Victoria acquired considerable experience in the fields of public, administrative and constitutional law and she successfully handled cases pending before the Supreme Court (Conseil d’Etat) and other administrative courts. 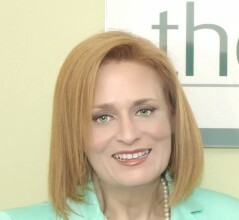 • Victoria has worked with two of the largest and well known law firms in Athens and was nominated partner to one of them prior founding TheLawFirm. • Qualified to practice before all Greek Courts (including the Supreme Court). • She speaks fluently English and French. • Mall Commercial Co-operation Agreements.